The Ministry of Health announced the list of drugs that were unavailable on the market during the month of February 2017. According to the Ministry, 282 varieties used to stop bleeding and to treat colds and stomach ulcers, among many others, were unavailable during the month of February, but had alternatives. However, 42 types of drugs — up from 38 the previous month — were unavailable but had no alternatives. Among them were drugs used to treat chronic diseases such as diabetes, liver diseases, cancer, angina pectoris; and various other medicines, including: contraceptives, anesthetics and antibiotics. The second type of drugs were unavailable throughout January also but numbered 38 only. The third type included 322 varieties used to treat diseases of the thyroid gland and blood clotting medicines. These drugs were previously unavailable, but the Ministry has now started pumping them into the market gradually, due to the high demand. 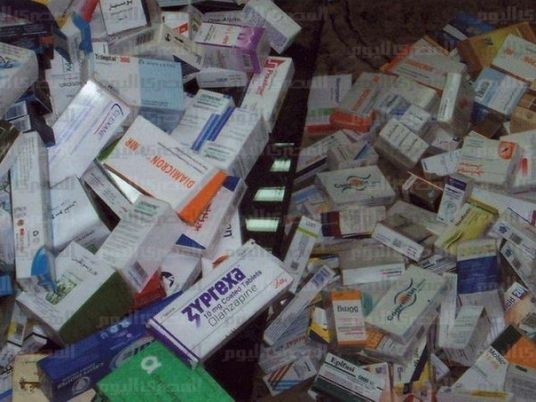 The chairman of the Pharmaceutical Affairs Directorate, Rasha Zeyada, attributed the shortage in some medicines to unscrupulous smugglers, pointing to the fact that the inspection authorities in the past few days found and seized large quantities of drugs that were smuggled and illegally stored. Health Minister Ahmed Emad Eddin on January 12 raised the prices of over 3,000 varieties of drugs in order to solve the problem of shortages.